The 1970s were the golden age of armwrestling. With ABC’s Wide World of Sports airing the Petaluma World’s Wristwrestling Championship every year, millions of people discovered the sport, thousands of new armwrestlers emerged, and dozens of armwrestling organizations were formed. 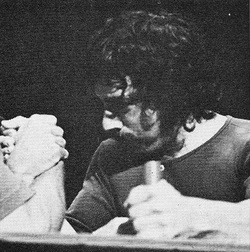 More people saw armwrestling on television during the ‘70s than in any decade since. By the middle of the decade, money was coming into the sport, which helped raise the level of competition even higher. But who were the very best pullers of the decade? I decided to do some research and create a list. To develop this list, I focussed mostly on results from the major events of the era. These were the biggest tournaments, which attracted the best pullers. These include national and world championships organized by the World’s Wristwrestling Championship (WWC), the World Professional Armwrestling Association (WPAA), the World Arm Wrestling Federation (WAWF), the Carling O’Keefe World Wristwrestling Championships, the American Armwrestling Association (AAA), the National Arm Wrestling Association (NAWA), Arm Wrestling International (AWI), and the International Federation of Arm Wrestlers (IFAW). Based on my analysis of the results I’ve managed to find, in my opinion, these are the top 25 male armwrestlers/wristwrestlers of the 1970s. In terms of major titles won, Washingtonian Dean Christiansen’s résumé may not be as impressive as those of others on this list. But he consistently placed near the top of the standings of the pro contests held in the western part of the US in the mid-to-late ‘70s. 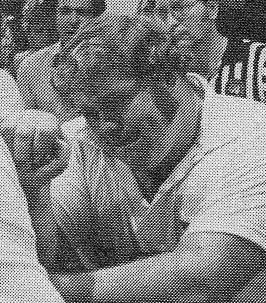 Aside from winning the heavyweight division of the WWC National Championships in 1975, he was runner-up (with both hands) at the NAWA Nationals and the World’s Wristwrestling Championship in 1977, as well as runner-up at AWI’s first Super Classic event in 1978. 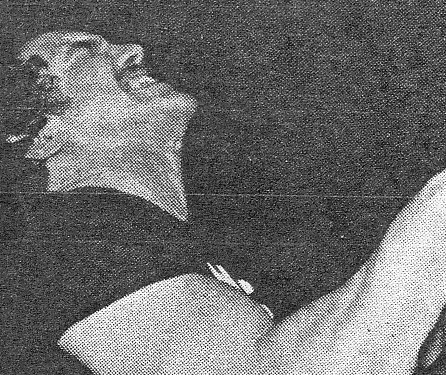 He even managed to get a win on Virgil Arciero in early 1978, who at that time hadn’t lost a match in nearly two years and was recognized by many as the top armwrestler in the world. ​Knowing what Virginia’s Dave Patton would go on to achieve in the ‘80s and ‘90s, one might be surprised to see him occupying this spot on the list. The fact is, Dave was just entering the sport in the late ‘70s, and though he made quite an impression in the way he dominated his competition at both of the 1979 AAA Nationals (Sit-Down and Stand-Up) as well as at the first WAWF World Championships held outside of the US, his absence from the major pro events of the year (i.e. WWC and WPAA) leaves some doubt as to how good he really was as compared to the other top featherweight competitors. ​Though already well into his 40s, Jimmy Payne had several impressive performances at the World’s Wristwrestling Championship during the ‘70s. The event finally added a featherweight class for men weighing 150 lbs or less in 1973, a class that would end up being just right for the Californian. 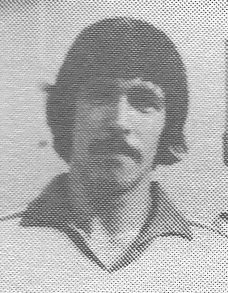 He finished second that year, but won the class in 1974 and 1975, and was runner-up in 1976 and 1979. In these years, the WWC routinely attracted hundreds of competitors eager to get on ABC’s Wide World of Sports, so finishing at or near the top of the standings so many times was quite an accomplishment. ​A featherweight puller from Iowa, Steve Lusby dominated the competition in the 1976 and 1977 World’s Wristwrestling Championships. 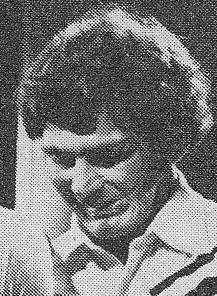 Most of his matches were won very quickly, including his win on Jimmy Payne in the 1976 finals. 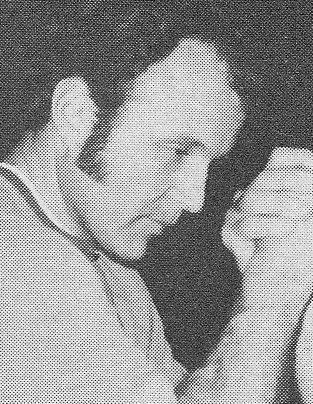 ​Those who witnessed Michigan’s Joe Rarick in action in the ‘70s likely remember him. He went wild leading up to his matches. Though he didn’t receive much love from the spectators, it didn’t prevent him from having considerable success in the sport. He won the WWC lightweight world title in 1976 and was runner-up in 1977 and 1979. He fared well against most lightweight pullers of the era, with the exception of one: Clay Rosencrans. 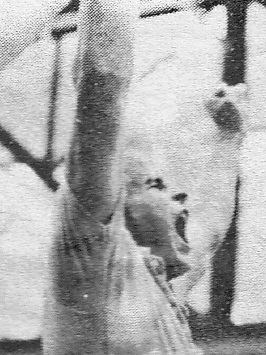 Clay proved to be Joe’s kryptonite, knocking him out of the 1975, 1977, and 1979 WWC World Championships, as well as the NAWA Nationals in 1977. ​Pennsylvania’s Rick Levine won a trio of world titles in the late ‘70s, including two WAWF world titles (1976 and 1977) as well as a light heavyweight WPAA world title in 1979. Unfortunately for Rick, Johnny Walker was just getting into the sport in the mid-to-late ‘70s and they were often in the same class. He was runner-up to Johnny several times, including at the 1977 WPAA World Championships. Had the timing been a bit different, Rick might have won several more major world and national titles during the decade. 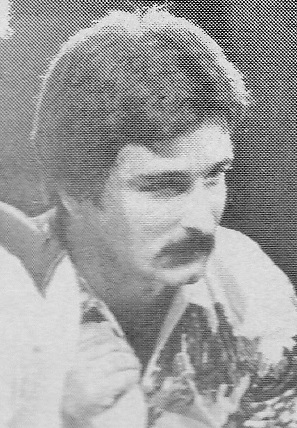 Little brother of WWC Hall of Famer Jim Pollock, California’s Ted Pollock won the always competitive lightweight division of the World’s Wristwrestling Championship an impressive three years in a row, from 1972 to 1974. He also won the lightweight division of the inaugural WWC Nationals. 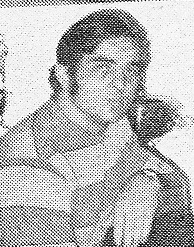 He retired from the sport after he won the world title in 1974 at just 24 years of age and was inducted into the Wristwrestling hall of Fame in 1975. A construction accident resulted in his left leg being amputated in 1968, but this did not prevent Redding, California’s Vaughn Cartwright from achieving great success in the sport of wristwrestling. He won the middleweight division of 1975 WWC National Championship, as well as the 1977 World’s Wristwrestling Championship. He had several wins on Bob Howell during the decade (who appears further up on this list), but Bob had a winning record against more of the top pullers of the era. ​A native Alaskan, Ron Bennett was a very aggressive puller. He was also known as one of the more analytical competitors. Combined with his tremendous strength, these traits undoubtedly played a role in his winning three major professional titles in the ‘70s: the WPAA middleweight world title in 1975 and 1976, and the WWC lightweight world title in 1978. He was also runner-up in the 1975 World’s Wristwrestling Championship. He hitchhiked from Alaska to Petaluma in 1975 and said he had to win so that he could buy a plane ticket back, pay for his room, and get a few meals, a story which endeared the crowd at the World’s Wristwrestling Championship. Though he didn’t win, his second place finish earned him $250 which was just enough for what he needed. 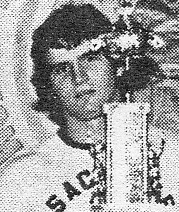 Still a high school student in Van Nuys, California, when he attended 1975 WWC National Championships in Las Vegas, Jack Wright managed to make it all the way to the finals of the middleweight division before having to settle for second place. But just five months later he went on to win a bigger title: World Wristwrestling Champion. And six weeks after that, he added a WPAA world title! In 1976 he packed on some extra weight, forcing him to compete in the heavyweight division. Though he lost to Virgil Arciero in the finals, he beat 290-lb Dean Christiansen to get there. New York’s Joe Leonardis was the dominant 165-lb puller on the east coast in the early ‘70s. Already holding the American middleweight bench press record, he entered his first armwrestling contest in 1971. It was a big one: the first World Arm Wrestling Championships in Scranton. He proved that he was not only gym-strong by winning his class. He went on to win the Scranton World Arm Wrestling Championships an incredible five years in a row before retiring undefeated! Unfortunately, he cannot be ranked higher because did not prove himself in the major pro tournaments of the era and it is difficult to speculate about just how good he was. Tabb, Virginia’s Steve Stanaway was a consistently high-performing middleweight puller throughout the ‘70s. He earned his first world title at the 1970 IFAW World Arm Wrestling Championship and he went on to earn seven more by the end of the decade (a mix of WAWF and Carling O’Keefe world titles). He was also the runner-up at the 1970 World’s Wristwrestling Championship and runner-up at the 1974 WPAA U.S. Pro Armwrestling Championships. 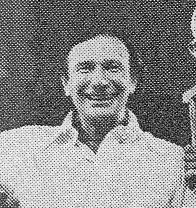 His rivalry with fellow list-mate Al Turner was classic, with each winning four matches. Jim Pollock, of Palo Alto, California, was the first person to win five World’s Wristwrestling Championship titles. His dominance of the middleweight class was unprecedented. His reign went from 1967 to 1972, and was only interrupted in 1968 when a young Jim Dolcini beat him in the finals in a war. 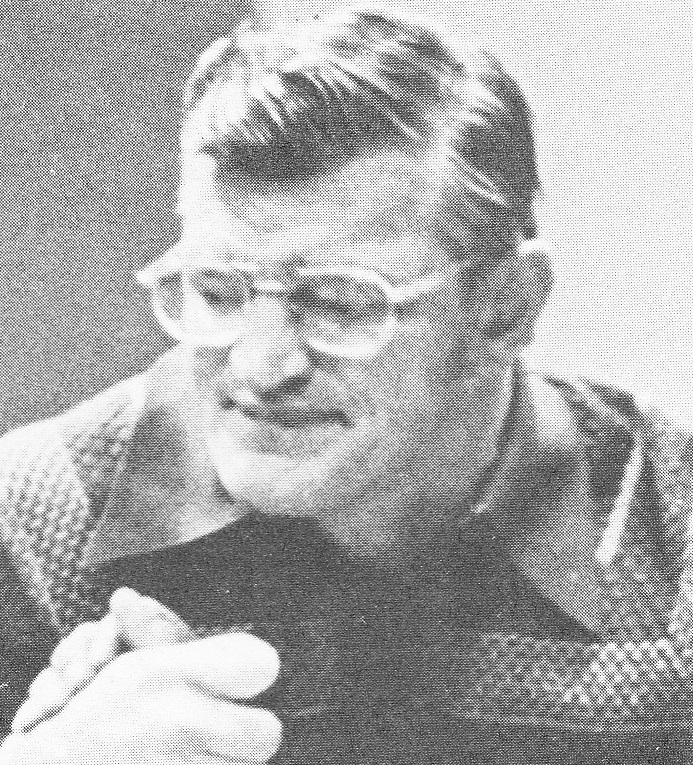 Though the World’s Wristwrestling Championship was the only tournament in which Mr. Pollock competed, his excellence was confirmed when he beat Steve Stanaway, the top east coast middleweight at the time, in the finals of the 1970 event. 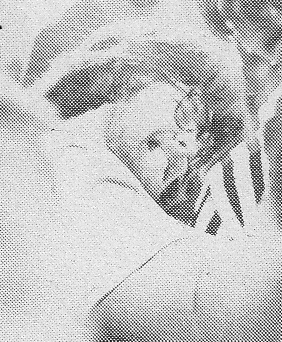 It is unlikely that anyone in attendance at the 1972 East Coast World Armwrestling Championships expected an unknown gray-haired man with thick glasses in his mid-forties to win the 200-lb title, but this is exactly what he did, defeating reigning champ Steve Stanaway in the process. From his first foray into the sport, Brockton, Massachusetts’ Al Turner was one of the best. He was a fixture at tournaments in the northeast throughout the decade, and he won most of them. 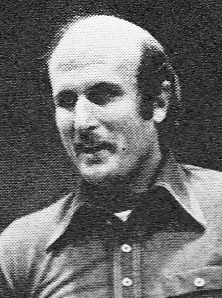 Between 1972 and 1979, he won five WAWF world titles. And he also ventured to other major tournaments across the continent to test his strength, winning the Carling O’Keefe world title in 1978 and the WPAA world title twice, in 1976 and 1978. His outspoken personality, combined with his ability to grind through matches and emerge victorious, made him a crowd favorite wherever he went. 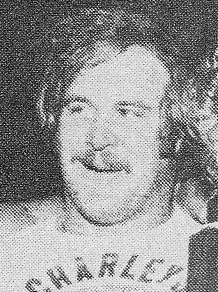 Escondido, California’s John Woolsey won the heavyweight crown at the 1974 WPAA U.S. Pro Armwrestling Championships. This is recognized as the first “pro” tournament, as it was the first to offer cash prizes. He also won the left-handed division of the 1977 NAWA Nationals, which was the first tournament to feature cash prizes for lefties. Aside from these accomplishments, he also won the World’s Wristwrestling Championship in 1973, successfully defended his WPAA national title in 1975, and was runner-up in AWI’s first invitational pro super-heavyweight event in 1978. He primarily competed in pro events run by the WWC, WPAA, and AWI, which meant he often competed against the top pullers in the U.S., allowing his to register wins over people like Dean Christiansen and Virgil Arciero. His exploits in the IFAW World Championships written about in the muscle magazines of the late ‘60s, Bristol, Connecticut’s Moe Baker developed a reputation of being the top puller in the history of the sport in the early ‘70s. In three years of official competition, Moe had a perfect record. After winning his third IFAW world title in a row in 1970, he decided it was time to venture to Petaluma to compete in the World’s Wristwrestling Championship to prove to everyone that he was the best. He breezed through the competition all the way to the finals, where he faced young Jim Dolcini, the defending wristwrestling world champion. He managed to get the jump on Jim, but eased up just slightly before pinning him. This was a costly mistake, as Jim was eventually able to bring Moe’s arm back over. Moe was disappointed, but he vowed to return to take the crown in 1972. He did just that, smashing Jim’s arm down in decisive fashion in the final match. Later that year Moe was even invited on an all-expenses paid trip to Germany, to face a champion shot putter who was thought to be unbeatable in armwrestling. It wasn’t a fair contest -- in the days leading up to their match, the event organizers had Moe pull many different men. But in the end, it didn’t matter, because Moe whipped all of them, including the shot putter! 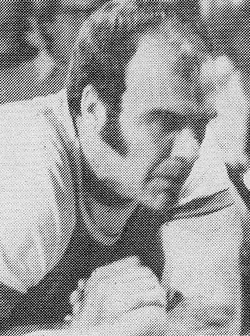 Hampton, Virginia’s Roy Ridgley was considered to be the strongest armwrestler on the east coast in the mid-70s. At the beginning of the decade, Roy beat every man he faced, with one exception: Moe Baker. He faced him several times, but could never achieve a win on him. That is, until 1973, when he finally pinned him. That year he also beat champion bench presser (and incredibly strong puller) Jim Williams, thus establishing himself as the man to beat in the east. His consistency was impressive -- he won five world titles in a row at the first five WAWF World Arm Wrestling Championships! In the mid-to-late ‘70s, Springfield, Massachusetts’ Dan Mason was one of the very top heavyweight pullers in the world. In some respects, he took up from where Roy Ridgley left off. Both dominated the 242-lbs class on the east coast. Roy was the king of this class from 1970 through 1975 before retiring from the sport a year later. Dan entered the sport around the time Roy got out of it (he did manage to beat Roy in one of Roy’s final tournaments) and he quickly became the man to beat at that weight. He was a very determined individual: what he went through at the 1977 WPAA World Championship is the stuff of legend. One week before the tournament, he suffered an accident at work that left him with an 8-inch gash on his right palm. His doctor told him not to compete, but he did anyway. In his second match, the stitches began to rip out. Not one to quit, he sprayed something on his hand to help numb the pain. He kept going and won the world title! In addition to the WPAA world title, between 1976 and 1979 he won world titles at every WAWF World Championship, as well as a Carling O’Keefe world title. 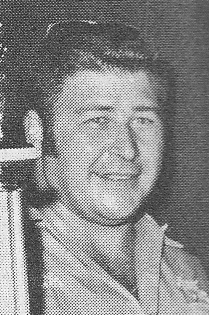 A great middleweight puller out of Reno, Nevada, Bob Howell’s list of major tournament wins during the ‘70s is quite long. 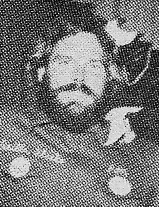 Between 1974 and 1979, he won a NAWA national title, a NAWA world title, two WWC world wristwrestling titles, two WPAA U.S. pro titles, and an AWI world title. Though he had occasional losses to a few of the pullers on this list, more than any of his fellow middleweights, he managed to win big tournaments. Virginia’s Harvey Frank was a dominant force in the lightweight division in the late ‘70s. He amassed a total of five world titles in those years, including WAWF and WPAA titles in both 1976 and 1977. By travelling around the continent, he faced most of the best lightweight pullers of the era and beat them all. To finish off the decade, he won a couple of AAA sit-down national titles as well as a Carling O’Keefe world title. Whittier, California’s Clay Rosencrans was a tenacious puller who was great at finding a way to win. At 18 years of age, he made it all the way to the quarter-finals of the 1974 World’s Wristwrestling Championships (his first ever tournament) before being eliminated. He returned for the 1975 championship and won the lightweight class. This gave him such confidence that he began to routinely pull multiple classes at tournaments. Despite being at a considerable weight disadvantage, he once even managed to get a win over Virgil Arciero! 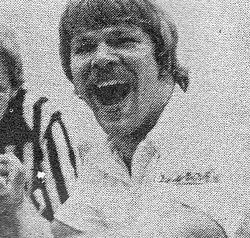 He was a fixture on nationally-televised armwrestling tournaments during the late ‘70s, because he attended the Petaluma World Wristwrestling Championships and the AWI NFL Super Classic events every year (which aired on ABC and ESPN, respectively). By the end of the decade, he had amassed three WWC world titles, a NAWA national title, and he won both the lightweight and heavyweight divisions of the 1978 Carling O’Keefe Worlds! 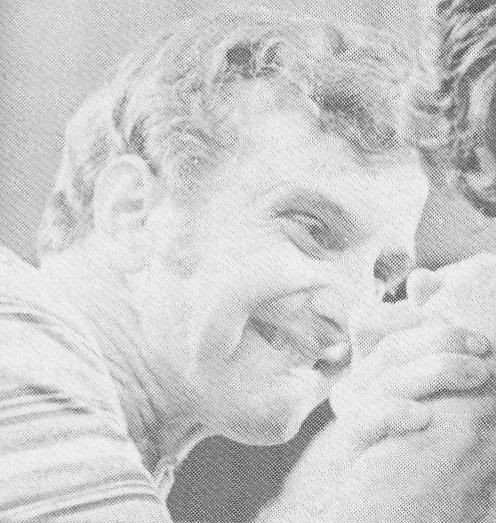 In the early 1970s, Petaluman Jim Dolcini was recognized by most as the man to beat in armwrestling. He certainly deserved this recognition: between 1970 and 1975, competing in the biggest events of the time, he lost only one match. This loss was to Moe Baker in the finals of the 1972 World’s Wristwrestling Championship (see above in Moe Baker’s entry for details), resulting in an even match-up record: 1 win and 1 loss each. 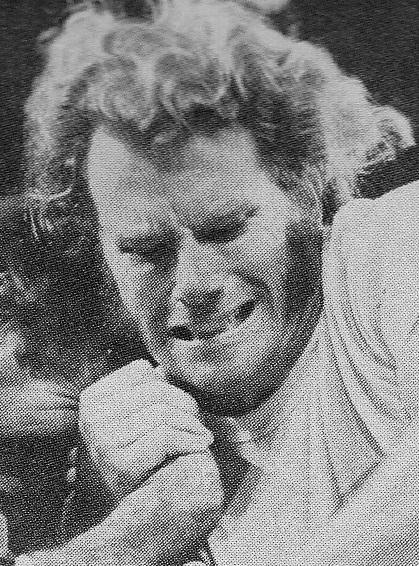 Jim had to sit out of the 1973 Petaluma contest because he was still recovering from being stabbed while attempting to break up a fight just a few weeks earlier. He returned to action for the inaugural World’s Wristwrestling Championship (WWC) Nationals in Las Vegas in May 1974 (which he won) and went on to win the 1974 and 1975 World Wristwrestling titles, making his the first man to win four Petaluma heavyweight crowns. His matches were always crowd-pleasers: his offense wasn’t great, but he appeared to have an almost superhuman ability to stop and outlast any opponent. Johnny Walker, of College Park, Georgia, got into the sport when he was already in his thirties, but quickly found he was a natural when he won the first tournament he entered: the 1976 WPAA Southeastern Championship. Just three months later he travelled to the WPAA U.S. Pro Armwrestling Championships, where he finished in fifth place. It didn’t bother him too much because it was first time in a major contest, but he decided then and there that he would train hard and return he following year to win the title. His did just that, winning the 1977 WPAA U.S. Pro title. He didn’t stop there: by the end of the decade he had won almost every major title there was to win, including three AAA National titles (both stand-up and sit-down), a WWC National title, two WWC World titles, and three WPAA World Armwrestling titles. In just three years, he was already being hailed by many as the most successful puller in the sport's history! Cleve Dean, a 6’7”, 460-lb hog farmer from Pavo, Georgia, was the best armwrestler on the planet almost immediately upon his entry into the sport. He took second in his first tournament in December 1977, but then decided to train for the sport for a few months, and by summer he had become virtually unbeatable. He won the 1978 WWC National and World Championships in July and October, respectively. However, several of the top super heavyweights of that time were not at these events that year, so it was difficult to determine Cleve’s true level of strength. AWI founder Tony Celeste determined there would be interest to see a 2 out 3 supermatch between new kid on the block Cleve, and the recognized king of the mountain Virgil Arciero (who hadn’t lost an event in over two years). The match took place in Las Vegas in November 1978, with upwards of $11,000 bet on the match. Not only did Cleve win, but the manner in which he won left no doubt that he was the strongest armwrestler in the world. He finished off the decade winning every single event in which he competed, including the 1979 AAA Sit-Down Nationals, the 1979 WWC Nationals and Worlds and the 1979 AWI Pro Super Heavyweight World Championship. Whether it was armwrestling or wristwrestling, stand-up or sit-down, Cleve was the best in all of them!